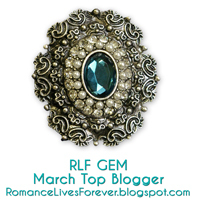 The Top Blogger for this month is Karen Michelle Nutt, who wins a month of free advertising on the blog. Top Blogger of 2016 was Susan V Vaughn, who won a year of free advertising for 2017. 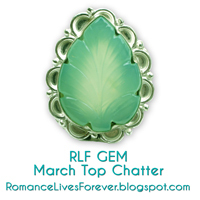 Each month, the RLF Gems post ranks in the top ten but is not counted, in order to focus on guests. The winners are judged by cumulative page views, including return and unique visits. There was a tie for fifth place. Romance Lives Forever features authors and new books. It has a blogger's FAQ page with a downloadable guide and optional interviews.